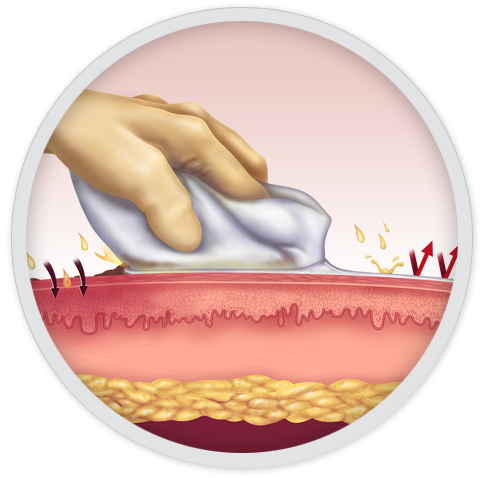 Not only does IAD cause skin irritation and discomfort, but it also is a major risk factor for pressure injuries.1 IAD is often grouped with pressure injuries, but they are not one and the same—IAD works from the outside in, while pressure injuries work from the inside out. Since they are different conditions, they should be treated differently. This education section will help you bolster your IAD prevention program with evidence-based incontinence care. The IAD Assessment will help your facility track outcomes from your incontinence care protocol. These unique tools will help you assess current clinical practice, educate staff, customize and implement evidence-based protocols, complete a performance improvement plan, and track progress, from pressure injury rates, to staff compliance, to costs. REFERENCE: 1. Maklebust J, Magnan MA, Adv Wound Care. Nov 1994;7(6):25,27-8,31-4 passim. 2. Gray M, et al., J Wound Ostomy Continence Nurse. 2007 Jan-Feb;34(1):45-54. 3. Clever K, et al., Ost Wound Mgmt. Dec 2002;48(12):60-7. 4. Gray M, Lerner-Selekof J, Junkin J, CE symposium in conjunction with 2006 WOCN Conference, Minneapolis, MN, 2006 June. 5. Marchaim D, et al., Hospital bath basins are frequently contaminated with multi-drug resistant human pathogens. Poster presented at SHEA 21st Annual Scientific Meeting, April 2011. 6. Johnson D, Lineweaver, Maze L, Patientsâ€™ bath basins as potential sources of infection: a multicenter sampling study, AJCC, Vol 18, No 1, Jan 2009. J Wound Ostomy Continence Nurs. 2018 Jan; 45(1): 63–67. Journal of Wound, Ostomy and Continence Nursing 2007 Jan/Feb;34(1):45-54. Advances in Wound Care. Nov 1994;7(6):25,27-8,31-4 passim. Poster presented at the Clinical Symposium on Advances in Skin and Wound Care, Las Vegas, NV, Oct 2005. Poster Presented at Institute for Healthcare Improvement (IHI), Orlando, FL, December 2007. Research poster abstract presented at WOCN Society Annual Conference, Minneapolis, MN, Jun 2006. Midwestern Regional Medical Center, Cancer Treatment Centers of America, Zion, IL. Excerpts from various studies/articles, 1994-2008. Excerpts from various studies/articles, 1996-2003. The 5 Million Lives Campaign is an initiative to protect patients from five million incidents of medical harm. (December 2006 – December 2008). The National Pressure Ulcer Advisory Panel (NPUAP), Reston, VA.Summary of the AHCPR Clinical Practice Guideline, Pressure Ulcers in Adults: Prediction and Prevention (AHCPR Publication No. 92-0047. Rockville, MD: May 1992). J Wound Ostomy Continence Nurs. 2007 May-Jun;34(3):260-9. Northwestern University Department of Dermatology, Chicago IL, Jul/Aug 1999. Poll conducted at the Wound Ostomy Continence Nurse Society 2004 annual conference by Sage Products Inc, Jun 2004. Wounds1.com, WOUND NEWS: Wound Technology, Jan 22, 2002. 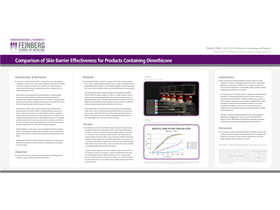 Track the impact of Perineal Cleansing and Moisture Barrier application on incontinent patients at your facility with this customizable template. Assess staff knowledge and opinions about incontinence care practices in your facility. This template includes a section to list your facility’s desired objectives, your protocol, and an area to record results from the Clinical Evaluation Form. Step 1. Establish your facility’s objectives for incontinence care. Then enter them into the left hand column of the Process Improvement Plan template. Step 2.Customize a Clinical Evaluation Form to measure and record staff opinions about incontinence care and the effectiveness of new practices. Step 3. 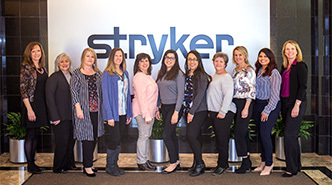 Analyze your completed Clinical Evaluation Form to determine the best incontinence care tools to achieve protocol compliance and meet documented objectives. Record your results in the right hand column of the Process Improvement Plan template.